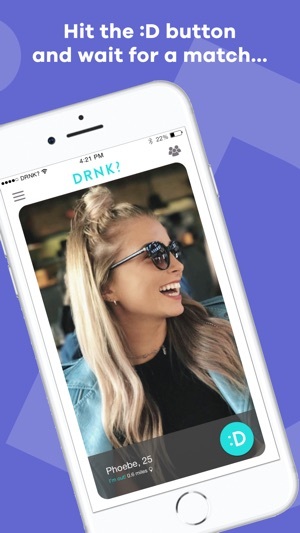 Unlock a brand new world of instant connections, creating more great nights out, more friendship, and more adventure - whenever, wherever, however. DRNK? makes meeting new people and making new friends simple, fast and fun. 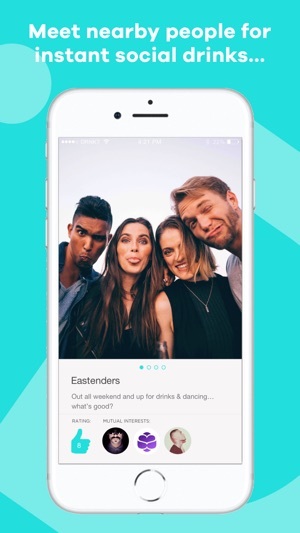 Find nearby users who are out-and-about and up for drinks. 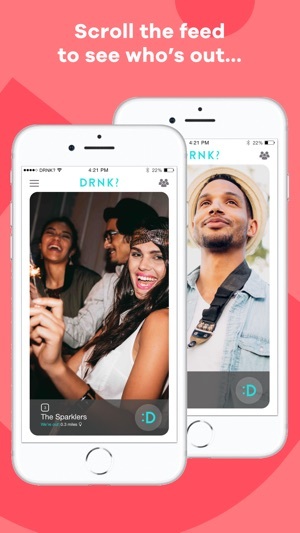 Use it on your own or in a group to instantly find the fun around you! 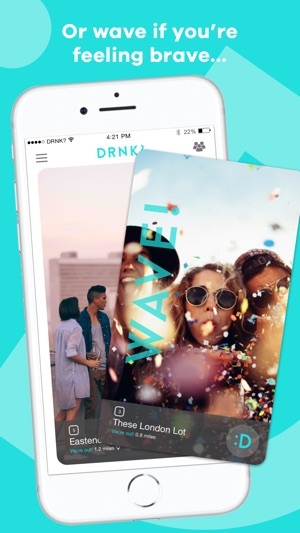 Swipe to match with awesome individuals, dynamic duos and miniature armies who all want to meet up for drinks and have fun - right now! Riding solo, or out with mates? Create group profiles with any of your Facebook friends, and find the fun, whoever you're with. Ready to go, or taking things slow? 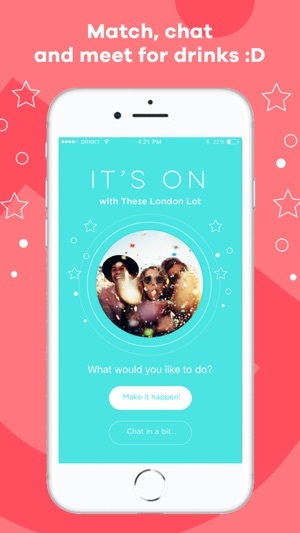 Tell users whether you're looking to meet right now, or a little later. Every time you meet someone new you'll be able to give them a thumbs up, and they'll do the same for you. Each user's profile displays how many thumbs-up they've received, so you'll know if they're cool.